Every November 11th we honor and thank those who have bravely served in the United States military. Veterans Day dates back to as early as 1919 (then known as “Armistice Day”), a year after the first World War ended. In 1938, November 11th, became a national holiday and used as a day to give thanks to our Veterans. 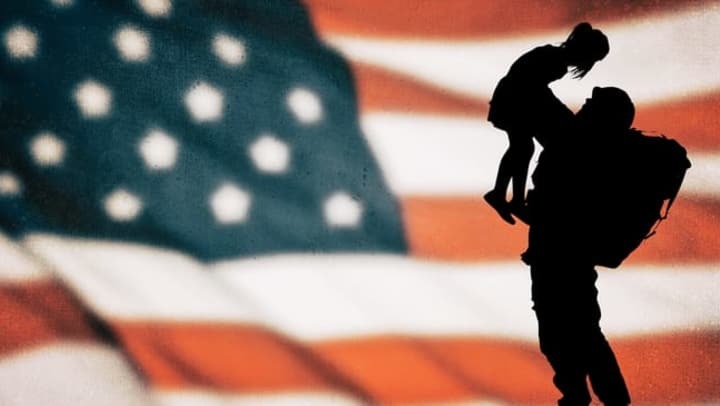 Veterans Day differs from Memorial Day by recognizing all American veterans living or dead, and especially gives thanks to living Veterans who served our country honorably. There are military men and women who honorably and bravely chose to join the United States military to protect our country and our freedoms. There are many Veterans among us and in our communities. They are our neighbors, friends, parents, grandparents, co-workers and they are an integral part of our community. Many communities and cities host Veterans Day parades or events to bring the community together and celebrate! Check your local news for any upcoming events or parades so that you can join in on the fun. There are hundreds of Veteran’s Day parades across the country, and it can be so fun to see the patriotic floats go by. This is probably the easiest thing you could do to show your support! You can get a flag from a store and hang it high and proud outside your home, or get a miniature flag to decorate your office. Displaying the flag will show you care and honor those who risk their lives for it. Perhaps you know someone personally that has served. Consider taking them out to lunch, or spend time with them to thank them for their service. If you have a long-distance friend or relative, give them and call to remind them that you are thinking about them. If you have a co-worker who is a Veteran, consider bringing in a treat to work that week. Veterans Day is an excellent time to find a volunteer opportunity that benefits our military. There are many amazing programs out there. At Discovery Senior Living, we partnered with Operation Shoebox to deliver supplies and care packages to deployed troops. We even received letters in return thanking us for the supplies and explaining how helpful the supplies are! Sport a red t-shirt or wear a red poppy to show support for veteran and active duty service members. On Veterans Day millions of red crepe paper poppies are handmade by Veterans (as part of a therapeutic rehab program) are distributed across the country on a donation basis that goes to assist disabled veterans. Visit https://www.alaforveterans.org/Poppy/ to learn more about the program and how you can get involved! At Discovery Senior Living, we take pride in honoring and celebrating our Veterans each and every day. We have many team members, residents, family members and friends who have all served honorably and bravely in the military. Please take a look at our communities' activities calendar to join us in one of our future military-themed events.